Home Parenting MMR Controversy : to give or not to give? 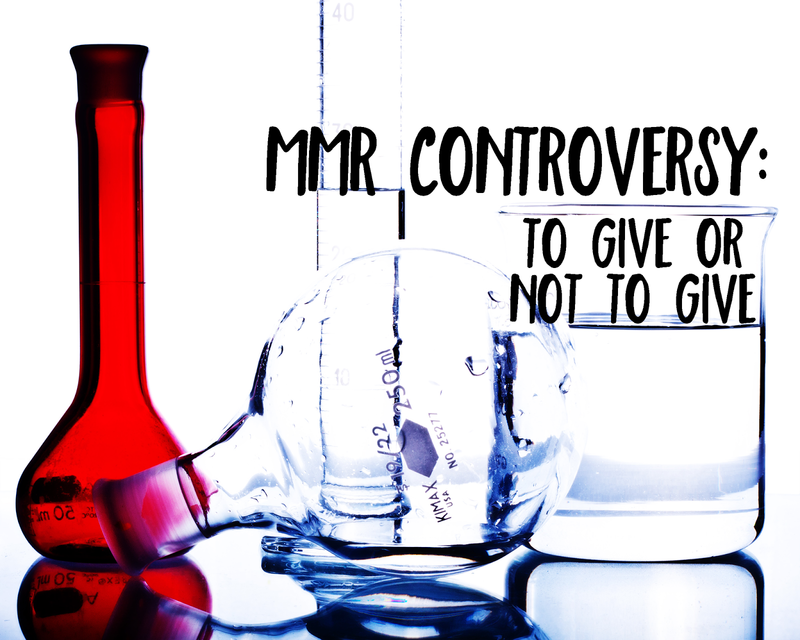 MMR Controversy : to give or not to give? It's been a really long time since I blogged even though I've made some aesthetic changes to my blog earlier this year and again now before I posted this. Guess I really live up to my username (on most platforms), ficklerebecca. I have been procrastinating on blogging for a long time and now when I finally blog, yup, it's going to be about babies again. What to do? After having a child of my own, I realized that it is not as easy as it seems and having your own kid is definitely very much different from just playing with someone else's. I am very thankful for my supportive and helpful parents. Really appreciate all that they've done for me and Hansel. Couldn't ask for more and I cannot deny that my little baby is very smart now because of their guidance & early childhood education. I will not claim any credit for his intelligence. After giving birth to my little darling, my husband and I constantly have lots of discussions about certain topics involving our little one's health and well-being. This one being, the MMR vaccine controversy — does it really cause Autism? Is it safe to give to just a tiny human being at only their 12th and 15th month of life (it was previously 15 & 18 months, they make it even earlier now)? If you're not aware, Japan actually banned MMR vaccinations as they believe that it does cause Autism. I'm not sure if they did any research themselves but this made me even more worried about giving my son something that sounds so dangerous. Especially when since males have a higher risk of getting Autism. I have not read all the articles that are available out there on the net that are of regards to this "research" by Andrew Wakefield. So, everything that are stated here are of my own opinions and my & my husband's discretion in the actions we will be taking. After discussing with my husband, we're not totally denying our son of the vaccination since it is a compulsory vaccine in Singapore. What we will be doing is to delay the vaccination to an age we think our little one's body is more ready to take in what is in that jab, most likely 18-24 months for the first jab. It contains Thimerosal (ethylmercury) fyi. According to CDC, it is not the same as normal mercury. You can read up more here, but I just still don't feel good thinking about that entering my baby's system. At least not when he is just 12 months old. However, no matter what I say here, it is also up to you and your husband's discretion to make the choice you think would be best for your baby. You know your baby more than anyone else. If you know that your baby's immunity is lower than others and might catch any virus/infection easily, give your child the necessary protection. Weigh the risks and benefits and see which outweighs which. Every parent will only choose what they think is best for their own precious little one.